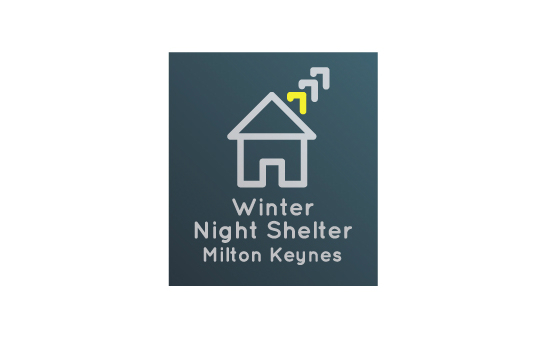 The Winter Night Shelter Milton Keynes (“WNSMK”) provides accommodation for the homeless in the coldest three months of each year from the Monday on or before 1st December for 15 weeks ending on Sunday 14 - 16 March each year. Our secondary objective is to connect with guests so as to win their trust and be able to help them find more settled accommodation. The temporary night shelter is for men and women (aged 18 and over) who have nowhere else to stay. There are 15 bed spaces per night. Every guest must be referred in order to have a bed. For their first referral to WNSMK guests must contact our Welfare Officer (email: welfare@winternightsheltermk.com or mobile: 07549 609 427) to confirm the availability of a bed and arrange an assessment interview. These means of contact are only monitored in the lead up to and during the project season (December - mid-March) so please do not attempt to use them during our closed season (mid-March - mid-November). No guest will be admitted without a full risk assessment being carried out beforehand. All guests who have had their assessment interview and have been assigned a space must book-in at the Reception Café in Central Milton Keynes between 5.15pm and 6.15pm each night of their stay. Anyone who shows threatening or disruptive behaviour will be asked to leave; guests are admitted on the basis that they accept the WNSMK rules. For 2014/15 against our main objective we provided 1,348 (1,096 &1,168 in prior years) bed nights over 105 (91 previously) days at 8 different locations. Each location also provided a hot evening meal and breakfast. And, against our subsidiary objective 58 of our 86 (48 of 61 previously) guests were placed in more settled accommodation with 16 of them not needing to stay a night at the shelter. We are entirely indebted to the churches and other groups who have made accommodation available to us. The entire night shelter is dependent on the significant efforts of a large number of volunteers, some 425 in total, who give up significant amounts of time to cook, set up, clean, befriend guests, and support the project in a myriad of ways. We are very grateful for all their devotion and effort, and particularly to the 18 or so team leaders who provided the backbone of the volunteer support network under the oversight of our Project Coordinator and Welfare Officers. We are grateful to Milton Keynes Council for providing links to follow up services and the Milton Keynes Community Foundation whose funding has assisted this work. Anyone wishing to volunteer their time or 'in kind' support should contact the Project Coordinator by emailing coordinator@winternightsheltermk.com from mid-September through early March or through our web site www.winternightsheltermk.com at any time. Volunteers on our Venue Teams receive training from late October - early December.